A rich and extremely famous voice greeted me- "Hello!" and introduced himself. It was Amitabh Bachchan's recorded message! Boy! Was I excited! Ah! 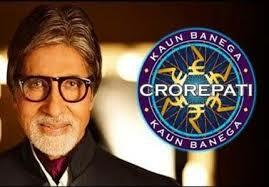 So, I had finally got the all-important call from the immensely popular TV-Quiz Show- Kaun Banega Crorepati i.e. KBC...after all these years of trying like crazy! Suddenly, all my effort in the past decade flashed in front of my eyes! The registration ills have always given me the chills! I have been registering for all the questions from multiple phone numbers to enhance my chances to win! And not to mention the hours of burning the midnight-oil patiently registering for hundreds of times! Also sifting through the pages of the General Knowledge books! Strongly believing that my turn will come & someday even I will occupy the Seat! I felt relieved that I hadn't really blown up the fortune on the phone bills! Here is the prize, the rich outcome! For the first time, after more than a decade of trying, I had cleared ALL the rounds mandatory to earn a place on the show. I had made it to the Final Shoot in Mumbai! Yes! Yippee! I would now occupy the famous 'Hot-Seat' & get to meet & greet & touch the feet of this 'Century's Superstar'! I imagined winning the Jackpot! At this victorious moment, I remembered my grandparents and my Mom who had always wished me & blessed me for this day. They had waited and prayed... and waited and prayed...just to see me getting a call from KBC and then winning BIG on TV! "Time to plan! ", I instructed my brain urgently! "What will I wear for the show? Saree or Salwar-Suit? Which Colour? Which one?! 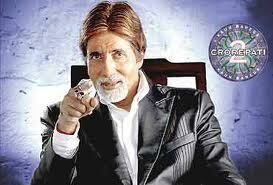 What gift should I take for Mr.Bachchan?... "So many questions queued up happily. I put the "House-Full" board on my mind's door! The entire experience had made me feel so tired! I felt as if I had slogged for years and that now that I had been gifted the golden fruit, I might as well safe-keep it and relax! I had to catch up with my sleep first to think rationally! I had made it to the Final Shoot in Mumbai finally! I felt tears of joy streaming down my face happily. My dream & that of my parents and grandparents had really turned into reality! This post is a part of Write Over the Weekend, an initiative for Indian Bloggers by BlogAdda . Please do share your thoughts on this. Thank you so much!